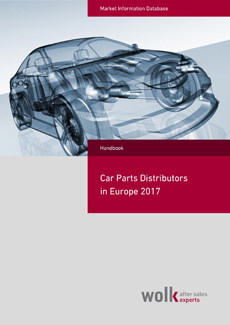 This study provides a profound insight into the spare parts market for timing belts, water pumps and V-belts. All three products are closely linked. Finally, mechanical water pumps are integrated into either the timing belt or the V-ribbed belt drive. In which one they are integrated ultimately depends on whether the vehicle has a timing belt at all – or if it is driven by a timing chain instead. According to our estimates and discussions with industry experts, two-thirds of current vehicles are equipped with a timing belt. 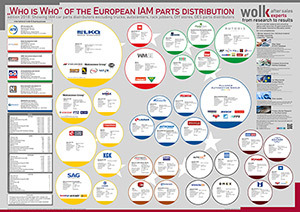 Due to this close link between the three products, it makes sense to look at their spare parts market as a whole. 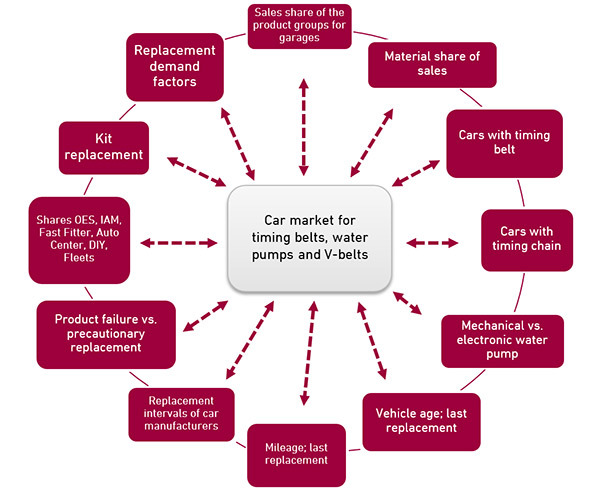 at what frequency are timing belts, water pumps, and V-belts replaced? what factors are decisive when a change occurs? what differences exist in the exchange behavior and volume in this product group between free (mechanics) workshops and authorized workshops? how important are kits in this segment? which are the most used brands in this product area? 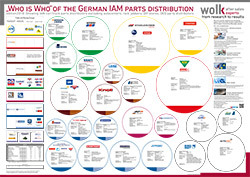 at what prices are timing belt kits purchased from the workshops in the classic distribution? at what prices are timing belt kits offered on the internet? at what prices are timing belt kits including installation sold to the end customer? 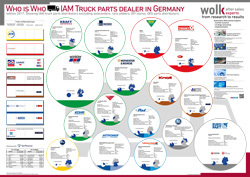 What is the market volume for timing belts, water pumps, and V-belts in Germany? 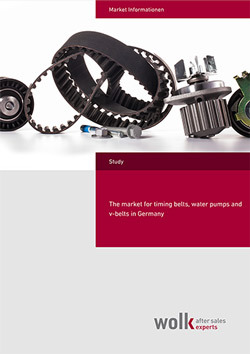 These and many more questions are answered by the new study by Wolk after sales experts "The market for timing belts, water pumps and V-belts in Germany". In December 2017, about 150 free (mechanics) workshops as well as 50 authorized workshops were interviewed about their exchange behavior of the mentioned products. On a total of 110 pages of continuous text, the study provides a profound insight into this market.